The Funky Felter: It must be this week's theme... Inspiration! Check out the 2010 Niche Awards Winners! It must be this week's theme... Inspiration! Check out the 2010 Niche Awards Winners! If for no other reason, I love to browse through the Niche Awards winners each year for the lovely photography. It is more for creative inspiration though. 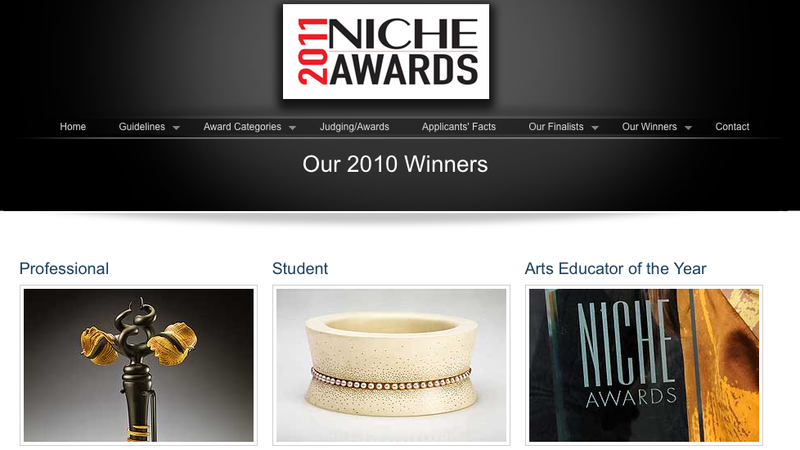 I just got their newsletter "call for entries" email for the 2011 Niche Awards... ah, to dream... I don't know if I'll ever be up to par to enter such a grand competition, but it is fun to think about as a (distant) future endeavor. For now, I recommend that you check out the 2010 Niche Awards Winners for inspiration. Now, they are grand indeed!